ExactFile | Making sure that what you hash is what you get. For Windows 2000, XP, Vista, and 7. Download here. Watch the blog for info and updates. exf.exe command-line utility. About 145 KB. Available for now until ExactFile is feature-complete. Simple GUI, recursive MD5 file scanner/verifier/digest generator. 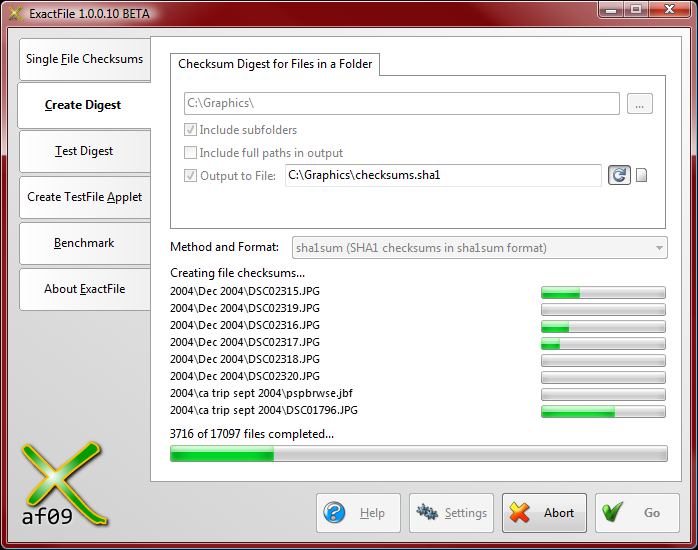 See this post for info on what FileCheckMD5 was designed for.